There is no doubt that CO₂ emissions caused by humans have to be reduced as soon as possible. Time is short. In addition to other economic sectors, transportation must also do its part. Volkswagen has chosen to accept its responsibility and wants to become part of the solution. Volkswagen is presenting its new Electric Concept Car at the Geneva Motor Show 2019: The ID. BUGGY is a further development of the iconic US-beachbuggys of the 60th and 70th. First pictures of the vehicle can be seen here. The new partnership between Volkswagen and the german footbal association DFB began with a visit to the Volkswagen factory in Wolfsburg, Germany. More than 1,400 engineers and IT experts work in electronics development at Volkswagen to develop the next generation of vehicles. Marie Puhle teams up with her colleagues to ensure that our cars will be a breeze to operate. The Volkswagen Group is expanding production capacities for its electric offensive. Beginning in late 2019, the company will build the future generation of electric vehicles in Europe, Asia and its U.S. plant in Chattanooga. The Planai-Classic in Austria is only something for die-hard classic car fans. We were in the passenger seat of motorsport legend Hans-Joachim "Strietzel" Stuck. We become electricity supplier for electric cars. Thorsten Nicklass, CEO of Elli, explains how this will work in principle. The Elli Group will help implement our green electricity offering and the expansion of the charging station network for the Volkswagen Group in the future. It's T-Time: T-Cross, T-Roc, Tiguan, Tiguan Allspace und Touareg. Jürgen Stackmann, Board Member for Sales and Marketing, and Klaus Bischoff, Head of Design, present all Volkswagen SUV available in Europe and their highlights. The world's largest 3D printed titanium pressure functional component ever produced on one of the most powerful brake test benches on the market! This is what it looks like when Bugatti prepares its first printed titanium brake caliper for series production. That was the approval drive of the Volkswagen ID.. The first modell of the fully electric ID. Family hits the road in South Africa. Two young, ambitious women are bringing two worlds together at the Konnect Campus in Tel Aviv: that of the Volkswagen brands and that of the Israeli high-tech start-ups. Their goal is to find innovative solutions for the Volkswagen Group and its brands. They are the future: More than 20,000 trainees worldwide learn their trade at Volkswagen Group. 46 young talents, who have finished their apprenticeship at Volkswagen with best grades, got awarded and had a fun program around Wolfsburg. Next summer, the last Beetle will roll off the assembly line. Roughly 20 years after the premiere of the New Beetle, its production will come to an end. The Beetle celebrates its farewell with the “Final Edition” – inspired by the “Última Edición” of the legendary Beetle in 2003. Jürgen Stackmann, Board Member for Sales and Marketing, summarises the results of the annual session 2018 of the Volkswagen brand. Why Tel Aviv is considered a hot spot for start-ups. And why the Volkswagen Group has set up its Konnect campus there. e-car sharing in rural areas works perfectly with the e-Golf. The municipality of Tarmstedt has been proving it since 2015 already. Now, after three years of success, the project here in the flatlands between Hamburg and Bremen is entering a new Phase. To charge an electric battery of a Volkswagen e-car takes too long, does it really? Volkswagen proofs that e-cars are no longer dreams of the future. Talking about CountdownE we show you how e-mobility has developed yet and how it will develop in the future. To be an e-mobility pioneer is Volkswagen Group’s clear objective. It is consistently increasing its investments. The aims and measures of the great e-campaign. Volkswagen AG opened the highly specialized research center known as Data:Lab Munich around five years ago. The center’s initial focus on data analytics has now shifted to artificial intelligence. Its team of experts pursues basic research and develops concrete applications. Volkswagen AG and the Autostadt in Wolfsburg hosted the ninth Global Social Business Summit between 6 - 9 November 2018. The common goal of the Forum: Fighting against global poverty and finding solutions for a worldwide, sustainable future. Live broadcast of the press information after the Supervisory Board Meeting of the Volkswagen Group. Friday, November 16th 2018 (at 12:30pm CEST). Zwickau is at the heart of the Volkswagen brand's global e-mobility initiative. Thomas Ulbrich, Member of the Board of Management of the Volkswagen Brand responsible for E-Mobility and Managing Director of Volkswagen Sachsen, explains the strategy. Volkswagen: How to build an e-car? Emden and Hanover to become electric vehicle plants. Together with Zwickau, they will form the largest network for the production of electric vehicles in Europe. How much is the cruising range of e-cars and how will it change in the future? In the fourth episode of the series e-mobility, volkswagen shows that the affordable e-car is not a dream of the future. Volkswagen talks about the future of electric cars. The year 2020 will be a spectacular year, due to a complete new generation of networked and intelligent electric cars. This means that the mobility will be revolutionized. Get more information in the video! Diversity is much more than the advancement of women. It is about having the right person in the right place at the right time in the right job – at every level, regardless of their cultural background or other attributes. The Volkswagen Group has opened a new software development center (SDC) in Lisbon. Just like the Group's other IT development sites, this center applies a special method called “extreme programming.” This approach ensures better software. It is cool, it is intuitive, it is practical and it is safe. Here are the first impressions from the world premiere of the Volkswagen T-Cross in Amsterdam. Last year, the Volkswagen Group launched a new multi-brand online used car portal, heycar, where around 310,000 cars are currently waiting for a new owner. The fast growing Silicon Wadi is the right place to meet the challenges of the future of mobility. Why? Stephanie Vox, managing director at the newly founded Campus Tel Aviv Konnect, has the answer. For the Volkswagen Group as one of Europe’s largest industrial companies, the collaboration between humans and robots is becoming more and more important. The primary objective: to continue to increase efficiency and ergonomics of production in the direct area. The Volkswagen Group is investing in the future – and supports more than 300 PhD students and their ideas for the mobility of tomorrow. Anja Bielefeld is researching the cell design of solids-state batteries. In our video she explains how she works. Volkswagen forscht seit 2012 an dem Thema und ist Treiber für die zielgerichtete Entwicklung der Ergonomie-Strategie mit Exoskeletten. Ein erstes Ergebnis dieser Arbeit seht ihr hier. The Volkswagen Group is investing in the future – and supports more than 300 PhD students and their ideas for the mobility of tomorrow. Our video explains what these ideas are. Volkswagen presents a wide range of urban mobility solutions at the World Congress for Intelligent Transport Systems (ITS) in Copenhagen, explains Chong Lee, Head of Autonomous Driving Business & Urban Solutions. At Volkswagen, the spirit of research meets vehicle development every day, but today it is especially celebrated: at the 13th PRO.MOTION PhD students’ day in Wolfsburg. Let our film take you into the future. Developing an app at school? Volkswagen is making young people fit for the digital future with its new xStarters support program. Our film shows you how. Yemme Phung is a fully qualified lawyer and works in the Volkswagen Investigation Office. In the event of serious crimes within the company, employees can turn to her and her colleagues. Compliance is about averting damage to the company together. Volkswagen im Wandel: Mit eigener Software-Expertise und der Schlagkraft externer Partner beschleunigt das Unternehmen den Aufbau seines Ökosystems. They are young, ambitious and know what the people in their country need. Rwanda's capital Kigali is developing a vibrant start-up scene that will lead Rwanda and all of Africa into the digital future. With the help of a new Hackathon format, Zalando SE and Volkswagen Group are developing inventive ways ideas in Berlin to increase supply-chain transparency. With the SEDRIC concept vehicle, the Volkswagen Group is demonstrating what the future of autonomous and all-electric driving looks like. This vision has become a viable technology carrier. The “Driving Vizzions to Reality” exhibition at DRIVE. Volkswagen Group Forum shows a real-life I.D. VIZZION (concept car) – as well as a robotic goalkeeper with superhuman reaction times. Angela Merkel and Chinese Premier Li Keqiang attended a demonstration on autonomous driving in Berlin. The Chancellor and her state guest also undertook a test drive in the Volkswagen concept car SEDRIC together with Volkswagen Group CEO Herbert Diess. Volkswagen starts with local production and innovative mobility services in the Rwandan capital Kigali. The aim is to gain valuable experience for other opportunity markets in the region. Die neueste Technik bringt nur etwas, wenn man sie aus Sicht der Mitarbeiter denkt. Das hat Volkswagen Südafrika nun mit einer neuen Mensch-Roboter-Kollaboration bewiesen. #TheFutureStartsHere is the first major exhibition produced by the V&A's Design, Architecture and Digital department. Here, Rory Hyde discusses what our relationship is to the planet, as citizens. And how we've transformed the climate. #TheFutureStartsHere exhibition explores the technologies, the designs and the events that are shaping our society right now. It's currently on show at the V&A in London. Volkswagen launches the first integrated mobility concept in the eastern African country. Local production, service, sales and new types of mobility offerings – a model for the entire region. A new era is dawning for automotive design, bringing the greatest change in its history. Have you ever wondered how #Platooning works? Have a look at our research project with DB Schenker and Hochschule Fresenius. This is the future of transportation and logistics. The exhibition "Urban Mobility of the Future" at the Autostadt in Wolfsburg shows how digital technologies are changing the urban living space. This can be seen in the spectacular miniature model of a megacity in which driverless cars transport passengers. Data scientist Gabriele Compostella uses AI and human expertise to retrieve and combine relevant data using big data. The art of clarity: At the Volkswagen Digital:Lab in Berlin, UX designers create products and solutions for new digital offers for customers. One of these designers is Melissa Zee from Singapore. People work side by side with robots at the Wolfsburg plant. Robotics expert Johannes Teiwes from the Smart Production Lab programs the software for these applications. Part 4 of a series about IT jobs at Volkswagen. What exactly does a robotics expert do? 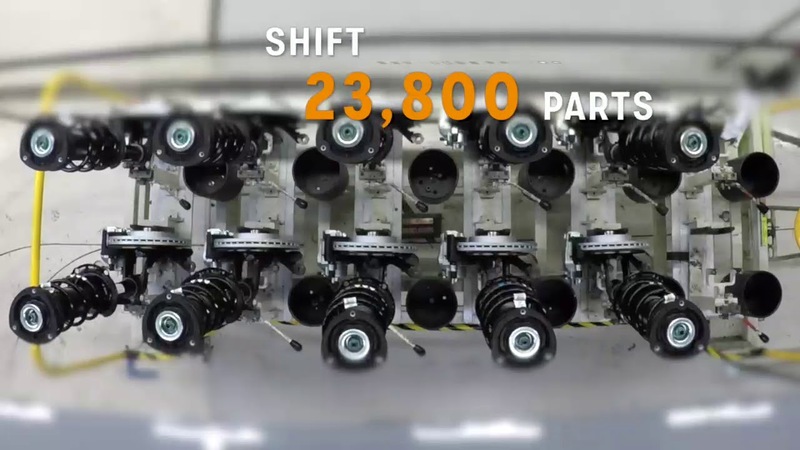 A lot goes into making a SEAT vehicle, including an intricate dance routine. The show starts at five in the morning in the sheet metal workshop in Martorell, when 2,000 robots and 1,700 factory workers begin moving in unison to build a car body in just over one minute. 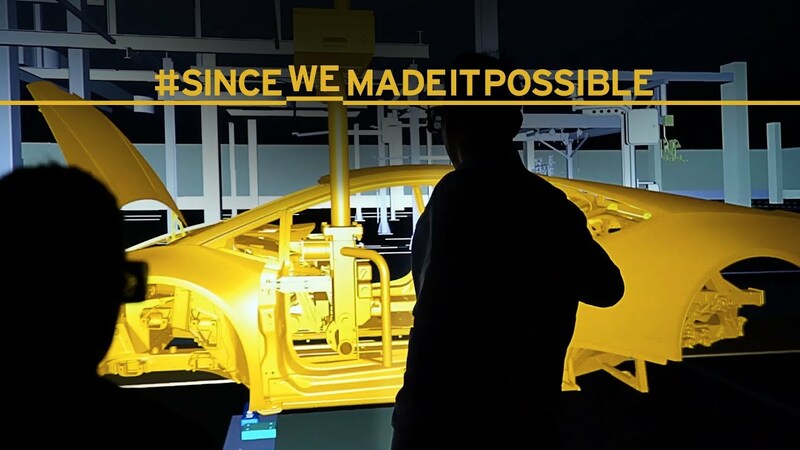 Virtual reality tools help us design new cars – quickly, flexibly and efficiently. VR developer David Kuri programs software to do this. Part 1 of a series about IT jobs at Volkswagen. Lively and far from clichés: London’s Victoria & Albert Museum is showing the impact of technology on the world of tomorrow. E-mobility material of the future: Carbon fiber is ultra-light, yet extremely robust. And with production costs falling, it could play a key role in the electric vehicle era. Engineers from the Volkswagen Group are carrying out pioneering work in this field. User journeys, sprints and flat hierarchies: a young team is developing ideas for the future of mobility at the Volkswagen Group Future Center Europe in Potsdam. On Thursday, May 3, 2018, the introductory remarks of the Chairman of the Supervisory Board and the speech of the Chairman of the Executive Board will be broadcast live from 10am CEST / 8am UTC. Volkswagen presents the new Lavida to the audience at ‘Beijing Auto Show 2018’. The vehicle is produced for the Chinese market and there it impresses again and again. Volkswagen Group accelerates its efforts to deliver advanced People’s Mobility solutions in China. People’s Mobility – that is the motto of our Group Media Event at this year’s Beijing Motor Show. We are looking forward to presenting many ideas and innovations for the future, and – of course – showcasing the new models from our Group brands that will hit the road soon. Using a unique technology, the Volkswagen Group is currently testing autonomous parking at Hamburg Airport. Using only sensors and visual markers, Volkswagen, Audi and Porsche brand vehicles independently find their way to their parking spots. Denis Gubin is a scrum master in the Agile Center of Excellence at Volkswagen Group IT. Sound complicated? The job has a lot more to do with people than it might seem at first glance. Interview with Nonkqubela Maliza, Director of Corporate & Government Affairs at Volkswagen South Africa about the loveLife Centres in KwaNobuhle. loveLife Centres in KwaNobuhle: Interview with Nonkqubela Maliza! They are groundBREAKERS – pioneers and role models who want more out of life than poverty, crime, and resignation. They prove that is possible – both in their community and throughout South Africa. Volkswagen We is the name of the platform that includes individual services such as We Deliver or the We Park app. This means that Volkswagen always has its eye on the big picture when it comes to digital services. Pilot project in Munich: ŠKODA AUTO DigiLab is testing mobility and social services for children, seniors and disabled people together with the start-up CareDriver. Specially qualified drivers assist people requiring support in their day-to-day lives and in their free time. Three good reasons: Why driving servoces like CareDriver will enrich the future of mobility. The exhibition „70 years of Porsche race-cars" in Berlin shows highlights of the brand. The head of the Porsche museum explains why Porsche was standing for innovation from year one. Karajan Music Tech Conference examins the future of media in the context of automated driving, a topic on which experts, designers and futurologists have developed exciting perspectives. In a video interview, Frank Witter, Member of the Board of Management responsible for Finance and Controlling, explains how record profits were possible despite outflows in the billions owing to the diesel issue. At this year’s Geneva Motor Show, Pop.Up Next was among the biggest attractions, filling visitors, media and social networks with enthusiasm. 3 good reasons: Why students are researching tomorrow's autonomous driving! Together with the automation specialist Kuka, the Volkswagen Group presented “CarLa”, the first mobile charging robot for automobiles, at the Group Media Night. Industry 4.0 is the magic word in the working world – and with respect to the digital networking of mobility, Volkswagen Group Logistics is at the forefront. 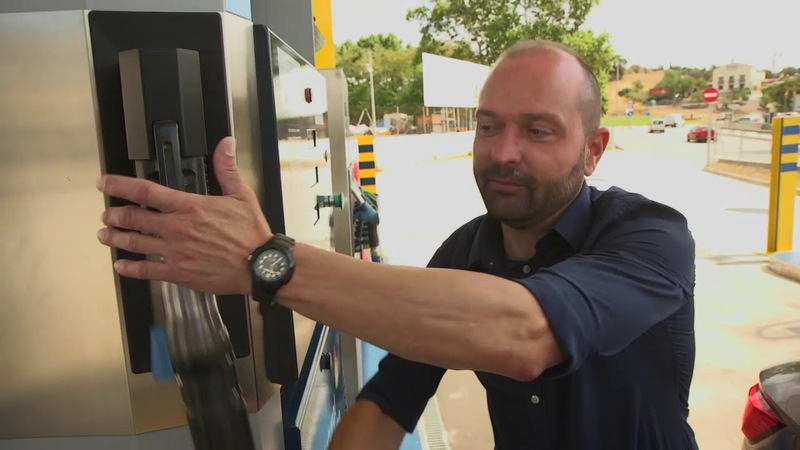 Natural gas vehicles are cheaper to operate than diesel and gasoline engines. More people are buying them. Since July 2017, registrations in Germany have risen with each passing month. SEDRIC is the first concept car from the Volkswagen Group, the prototype of an autonomous vehicle. After being exhibited at international auto shows, it is now on public view until February 28 at the DRIVE. Volkswagen Group Forum in the center of Berlin. 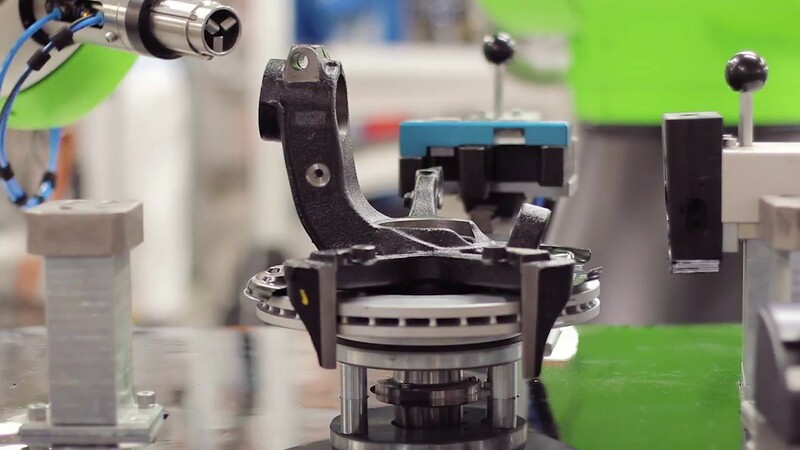 New eight-piston monobloc brake caliper is the world’s first brake caliper to be produced by 3-D printer. Bugatti is the first series manufacturer to use titanium, a material calling for extremely complex and challenging processing. 125 automated guided vehicles (AGV) share the workspace every day with 7,000 employees at the SEAT factory in Martorell. These intelligent robots transport 23,800 parts daily and cover a distance of 436,000 km every year. Dr. Mateo Kries, director of the Vitra Design Museum explains why everyday objects belong in museum collections. During his lecture accompanying the Exhibition “Driven by German Design” in Doha, he talked about his experience of exhibiting and collecting design pieces. Going out for meals, shopping or visiting friends and family. Christmas is one of those times of the year when people use their car most often, and special precautions are needed at the wheel. Learn more about our MOIA ridepooling service at www.moia.io. Whether furniture, cars or fashion, German design is reflected in many aspects of day to day life. The ‘Driven by German Design’ exhibition in Doha, Qatar showcases the evolution of German design over 70 years, inviting visitors to learn more about Germany as a trendsetter in design. Der Volkswagen Konzern hat sein Hinweisgebersystem zum 1. November neu geordnet. Es dient dazu, schwere Verstöße gegen Gesetze und interne Verhaltensregeln zu erkennen und zu beenden. We show you exclusive insights of the advent concert 2016 by the Kreuzchor taking place in the soccer stadium of Dynamo Dresden in Dresden, Germany. 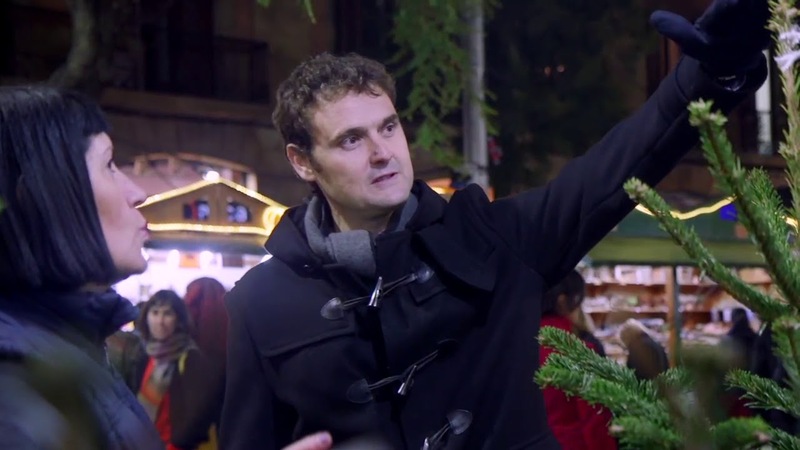 Watch how the choir boys perform Christmas carols in front of 20,000 people. Join choir singer Timo on an exclusive tour through the Alumnat (boarding school) of the Dresdner Kreuzchor. He shows you the dining hall and explains their eating routines. Guess what his favorite dish is! Where dreams are made: iconic sports cars, timeless masterpieces and Urus, the world’s first Super SUV. Manifattura Lamborghini brings together skillful craftsmanship, advanced automation and cutting-edge technology. The owner of a car fuelled with compressed natural gas tells us what his daily commute is like with a Leon TGI. 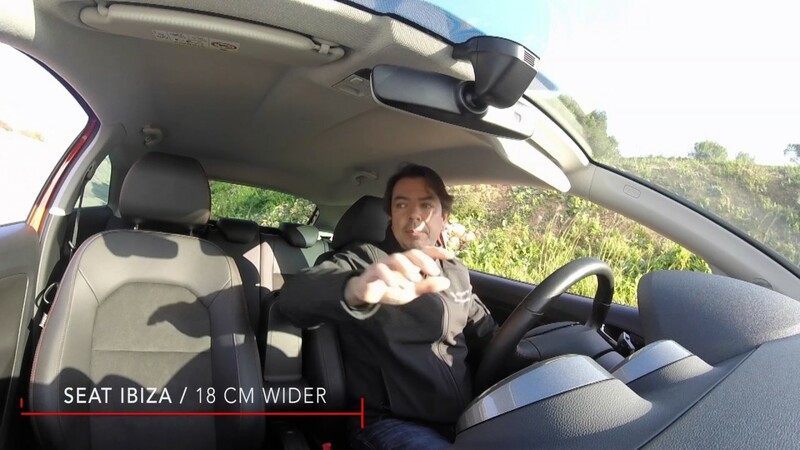 Juan Galera estimates an annual €1,000 savings compared to his previous diesel. Audi Aicon ist das erste Visionsfahrzeug für autonomes Fahren im Level 5. Die Luxuslimousine demonstriert Formgebung und Technologie für einen Zeitraum, der klar mehr als zehn Jahre in der Zukunft liegt. SEAT has introduced a training programme centred on the future challenges facing Industry 4.0. Aimed at all the 14,000 employees, the company has designed a programme to make workers aware of the real meaning of the Industry 4.0. In the agricultural region of Relizane, some 250 kilometers southwest of Algiers, the Volkswagen Group has opened a state-of-the-art assembly plant. The Volkswagen Group consolidates its position in Africa with the opening of a factory in Relizane, Algeria. Up to 200 vehicles of the models Volkswagen Golf, Volkswagen Caddy, SEAT Ibiza, and ŠKODA Octavia can be produced daily at the assembly plant. Designing the new Ibiza: Cutting-edge technology and the creativity of a team of 200 designers come together in the design process of a new car. The Volkswagen Group presented the “Volkswagen Group Award 2017” to its best suppliers at a ceremony in the ‘Motorwerk Berlin’. Craftsmanship and technology combine in the production process of SEAT Sport cars and Ducati Corse motorcycles. Their teams work in Martorell and Bologna to produce vehicles fit for a podium. SEAT or Ducati: Which has more parts? It is the archetypal sports car for everyday driving, and a style icon that is unmistakable as both the face and heart of the Porsche brand: the 911. "Here in Cartagena, I've never heard of any women driving buses." 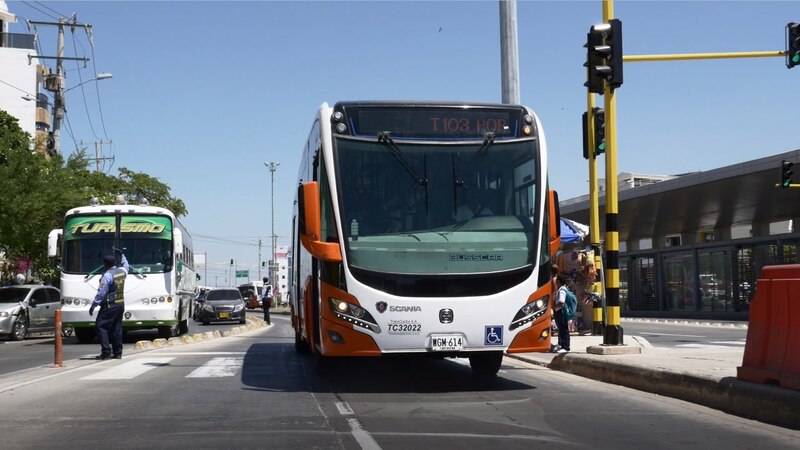 Meet Mariana Torres, a driver for Cartagena, Colombia's bus rapid transit system, as she gives us a look into her daily life, both on and off the bus. New models, new partnerships, new technologies: the Volkswagen Group is shaping the transition to the mobility world of tomorrow in the key sales market of China. three world premieres at Auto Shanghai 2017 focus on e-mobility. The CeBIT 2017 shows: Volkswagen’s work effort on the digital future is fully underway. New solutions are needed in areas like big data, machine learning, smart factory, the internet of things, connectivity, mobility services and virtual reality. Volkswagen employees rise up against racism. - CEO Matthias Müller: "We are back on track." - Focus on swift implementation of "TOGETHER – Strategy 2025"
The highlights of the brands of the Volkswagen Group at the Geneva International Motor Show 2017! 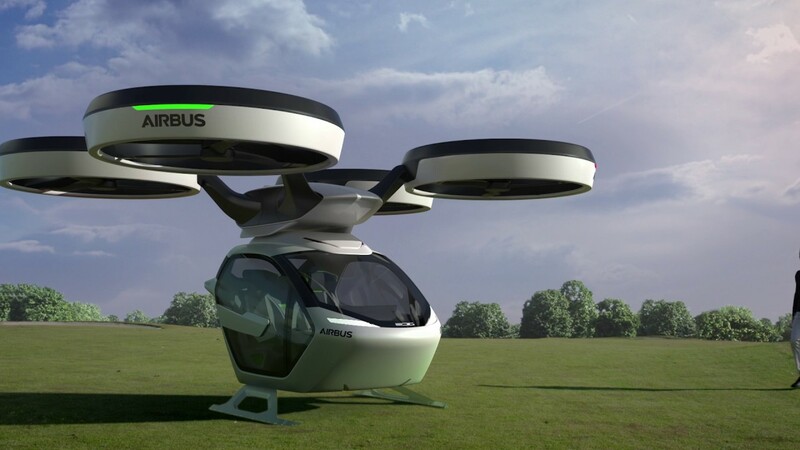 Italdesign and the aerospace industry leader Airbus unveiled Pop.Up, Italdesign and Airbus unveil Pop.Up, a trailblazing modular ground and air passenger concept vehicle system to releive the traffic conjestion in megacities of the future. Unveiled in Geneva 2017, Zerouno is developed around a modular chassis in carbon fibre and aluminium, it boasts a powerful naturally aspirated 5.2 litre V10 engine which enables 0-100 km/h acceleration in just 3.2 seconds, together with a top speed in excess of 330 km/h. Individual mobility redefined: Autonomous driving at the touch of a button. The self-driving car barely makes a sound as it approaches. It stops, takes on a group of passengers and then heads off on a safe journey to their destination. Catch a glimpse of the Volkswagen Arteon! The new fastback model celebrates its world premiere at the Geneva International Motor Show 2017. When it comes to putting driverless cars on the road, research into intelligent autonomous systems such as female robot AILA plays an important role. SEAT and Aqualia create the first completely Spanish alternative fuel from wastewater. See 50 years of SEAT excellence, with the classic SEAT 850 and the new SEAT Ibiza together on the track. Five decades later, the 850's still impressive, but it's no contest with the new SEAT Ibiza. Volkswagen joins 2,000 tech conference attendees in London to launch its new company MOIA, raising important questions about the future of mobility. In the Digital Lab software experts from Volkswagen and specialists from the US software corporation Pivotal will be working on a digital ecosystem offering new mobility services as well as networked vehicle services. How do you move an entire neighbourhood? 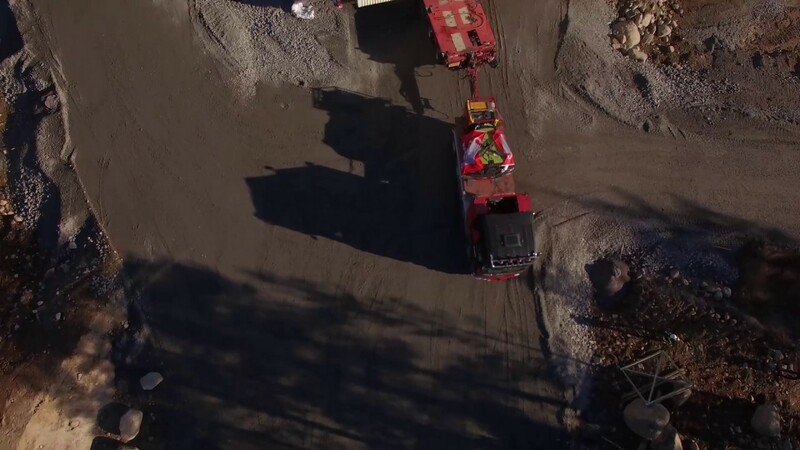 In Malmberget, Sweden, Mammoet did it with an 18-axle trailer, two Scania trucks, and some very skilled drivers. Volkswagen Group expands IT competence: Digital Lab in Berlin inaugurate. The Volkswagen Group is further expanding its IT competence. The company inaugurated its Digital Lab in Berlin. Our commitment to innovation has gone a step further. SEAT and Conector have joined forces to create a startup accelerator specialised in automotive industry and mobility. Watch more! Speeches of the Chairman of the Supervisory Board Volkswagen AG, Hans Dieter Pötsch, and the CEO of Volkswagen AG, Matthias Müller, at the Annual General Meeting of the Volkswagen Group on June 22nd 2016. Every detail makes our cars so special. From the first sketch to the fabrics of the seats, everything is carefully checked. Watch how the new SEAT Ateca was designed. The Volkswagen Group is laying the foundations for lasting success in tomorrow's world of mobility and its evolution into a world-leading provider of sustainable mobility. Press Conference Volkswagen Group: „TOGETHER – Strategy 2025"
Volkswagen Group and ride hailing provider Gett plan to expand on-demand mobility solutions and activities in Europe. -CEO Matthias Müller: "2016 will be a year of transition for us, a year in which we will accelerate the transformation." On the eve of the Auto China 2016 in Beijing the brands of the Volkswagen Group showed their new models and gave an outlook about the main topics for the future: digitization, electromobility and autonmous driving. Volkswagen Reports Robust Operations in Fiscal Year 2015. Statements of Matthias Müller, CEO Volkswagen AG, Dr. Wolfgang Porsche, Member of the Supervisory Board Volkswagen AG, Stephan Weil, Prime Minister Lower Saxony. There it is, the new Volkswagen Up! Celebrating its world premier at the Geneva Motor Show. It has a new front and rear section. And it has something for everyone. There are 13 color option, gasoline engines or electric drive. The mobility of the future – might look like this. And to make that happen Volkswagen is charting a new course! At the pre-show event at the Geneva Motor Show, CEO Matthias Müller explains the new approach: There will be three new “Volkswagen Group Future Centers”. Digital Key Sharing and Mobile Parking Spot Reservation are coming to the Mobile World Congress 2016 in a fully connected car from SEAT, SAP SE and Samsung Electronics. Check out all you can expect at this year's technology filled event. Don't miss it! Volkswagen starts implementing technical measures for EA189 diesel engines in Europe. In December 2015, the Volkswagen Group presented specific technical measures to the German Federal Motor Transport Authority (KBA) for the EA189 engines affected by the NOx issue. The Tiguan GTE Active Concept, a synthesis of progressive plug-in hybrid technology and maximum off-road performance. The Volkswagen Group’s realignment is well underway. The Group is making progress on all five of the priorities it set at the end of October: The technical solutions for customers in Europe have been devised, presented to the authorities, and positively evaluated by them. 50 Journalists have been invited to Wolfsburg, Germany, to get background information on the technical measure for the EA 189 diesel engines affected. The clarification and solution of the diesel issue is progressing. The Volkswagen Group has presented specific technical measures for the EA 189 engines affected with a displacement of 1.6 and 2.0 litres to the Federal Motor Transport Authority. The Volkswagen Group is aligning investment activity in its Automotive Division with the current situation. Lower Saxony's Prime Minister Stephan Weil visited Volkswagen's main plant in Wolfsburg. He was joined by the CEO of Volkswagen Aktiengesellschaft, Matthias Müller. The car of the future is digitalized. No need for buttons. It drives itself. Parks itself. Recognizes pedestrians. It networks! Volkswagen is thinking outside of the box. Thinks new. The highlight of the Volkswagen press conference is a unique success-story on four wheels. A Volkswagen bestseller - the Tiguan - Germany's most successful SUV. And the stage of the new Tiguan's world premiere. Volkswagen is showing four versions of the new Tiguan at the 66th International Motor Show (IAA) in Frankfurt. The production versions being presented are the exceptionally sporty Tiguan R-Line, the classic on-road model and an off-road version tuned specifically for off-road use. Volkswagen Commercial Vehicles shows the fourth generation of the hugely popular Caddy. Around 1.5 million of the award-winning previous generation were sold worldwide during its eleven years in production. Celebrating 40 years of incredible innovation. It's the SEAT Technical Centre's 40th anniversary this year, a centre that shaped SEAT's DNA hand has become a driving force for the company's progress. Blue brake calipers, and blue trim over the headlights and front grill. The new Passat GTE has that typical VW hybrid look. As for GTE: the engineers have combined the advantages of a petrol engine with those of an electric drive. Bei den STIHL Timbersports Series® in Florenz/ltalien im Mai 2015: Die Kooperation zwischen STIHL und Volkswagen Nutzfahrzeuge hatte mit dem Volkswagen Amarok ihren ersten gemeinsamen internationalen Auftritt. An app that helps drivers find a parking space and prevent urban traffic congestion is one of the Creative Lab projects This initiative is a collaboration effort between the School of Engineering of Terrassa at the UPC, the Volkswagen Group and SEAT to come up with ideas for improving urban mobility. Modern automobile production at the Volkswagen Group. The vehicles owe their perfection to the people who build them. Ergonomic work stations provide optimal working conditions. Technical aids facilitate the work of employees and promote favourable postures. Nearly 200 classic cars inhabited the most beautiful alpine streets of Tyrol, Bavaria and the Salzburger Land for a weekend. More than one third of them were from the brands of the Volkswagen Group. 22 came directly from the Volkswagen museum and were piloted by celebrities. At the Consumer Electronics Show in Shanghai (CES Asia) Volkswagen is demonstrating – with an entire fleet of vehicles– just how much the car and computer are already becoming intertwined today and will continue to grow together in the future. The Vienna Motor Symposium is THE annual industry event for engine developers from around the world. It’s the 36th iteration of the symposium and more than 1000 experts met to discuss the future of mobility and innovative technologies at the Hofburg congress center. Volkswagen bundles the difficult commercial vehicle business of its subsidiaries MAN and Scandia in the holding Truck & Business GmbH. So the Volkswagen AG Supervisory Board‘s decision. To mark the 25th anniversary of Volkswagen Sachsen this year, the Zwickau plant brings you an insight into production of the Golf Variant family which includes the GTD Variant (1), the Alltrack and the R Variant (2). China-branch CEO Jochem Heizmann and his fellow board members have reason to be happy at the Shanghai auto show. The Volkswagen brands sell well in the world’s largest market and the company has lots of news to share. The vehicles of the Volkswagen Group were the stars of the Group Night on the eve of the Shanghai Autoshow. China is the largest market in the world, a market in which Volkswagen sold almost 900,000 cars in the first quarter alone. At Geneva International Motor Show 2015 Bugatti was celebrating the Veyron, the fastest production supercar in the world whose performance has captivated legions of fans around the world since its launch in 2005. At the New York International Auto Show Volkswagen is revealing four new versions of the legendary "Beetle" car. In addition to the two coupés and two cabriolets, the new Golf Alltrack is also celebrating its market premiere in the USA. Volkswagen is further extending the Beetle line-up and is offering a glimpse of possible versions in the four concept cars. The color "Blue" sets the stage in the concept car Beetle Cabriolet Denim. The body color "Stonewashed Blue Metallic" and the soft top in dark blue with a special fabric texture both make a visual reference to jeans (American: "denim"). The concept car Beetle Wave in "Habanero Orange Metallic" reflects the American spirit on the East and West coast beaches of the USA. This spirit is also expressed in the convertible's interior. Fabric patterns from the 1950s and 60s influence the design of the center seat panels, and there is a genuine wood dashpad that is designed in traditional surfboard style. Those looking for something very special will find that the Beetle Pink Edition is the ideal choice. It is a car for style-conscious people around the globe. Pink accessories can be found among the most expensive labels in Manhattan and other great cities of the world. Only the car was lacking. Now Volkswagen is also satisfying this need with a coupé in "Pink Metallic". This color contrasts with exterior and interior elements in black, chrome and aluminum look. The Beetle R-Line Concept (1), on the other hand, clearly stands for automotive sportiness. It is powered by a 2.0 TSI engine (European version) that produces 162 kW / 220 PS of power and harmonizes well with the car's design. The Beetle, painted in "Oryx White Pearl Effect" impresses with its independent bumpers and wrap-around body paneling in high-gloss black, a diffuser also in black and a large rear spoiler. The car's sporty overall impression continues into the interior with sport bucket seats and elements in leather-carbon look. The new Golf Alltrack is a genuine trendsetter in the series of station wagon models offered in the USA. Besides offering the added versatility of the Golf SportWagen, it also offers more ground clearance, wheel arch moldings, flared side sills, underbody protection, newly designed bumpers and numerous other independent exterior and interior features. The Golf Alltrack is well equipped with 4MOTION all-wheel drive and an Offroad driving profile as standard. Its engine is a 1.8 TSI that produces 125 kW / 170 PS; it may be combined with either a 6-speed manual gearbox or a 6-speed DSG. In Europe, the Golf Alltrack (2) will also be offered with three TDI engines spanning a power range from 81 kW /110 PS to 135 kW / 184 PS. It was the largest programming competition in the car industry to date: CodeFEST8, an event held by the manufacturers in the Volkswagen Group involving three countries, over 500 students and 28 hours of programming. And it was a complete success. Power of Innovations – with this motto the Volkswagen group held its 2015 annual press conference in Berlin. The view is ahead. Digitization is an important topic for the Volkswagen group. Pounding electronic beat, staccato robot choreography, innovative models for the automotive world of tomorrow – the Volkswagen Group thrilled the international media with a powerful and dynamic performance at the Group Night. Europe's "Car of the Year 2015" is a Volkswagen: the new Passat wins the prestigious award, which is presented every year by the international "Car of the Year" jury. 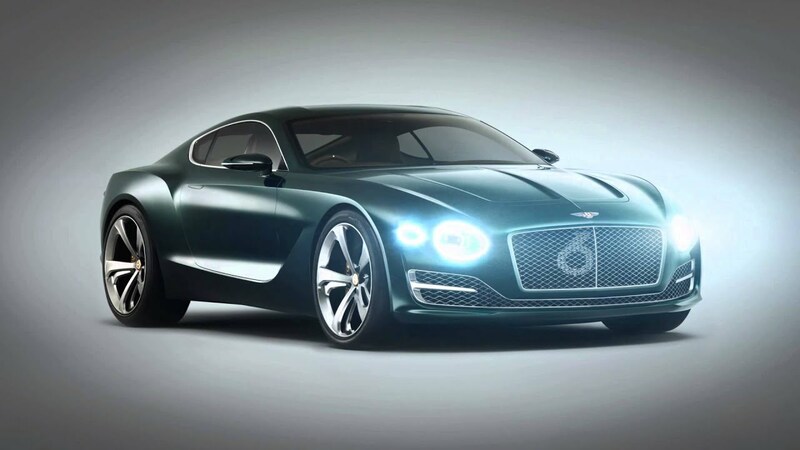 The winner was announced on the afternoon before the Geneva International Motor Show. The new Volkswagen Passat is "Car of the Year 2015"
The broad and diverse line-up of the Volkswagen brand, which ranges from the family-friendly MPV to the highly passionate concept car, is the central theme of today's press conference at the Geneva International Motor Show. The Volkswagen Group comprises twelve brands from seven European countries: Volkswagen Passenger Cars, Audi, SEAT, ŠKODA, Bentley, Bugatti, Lamborghini, Porsche, Ducati, Volkswagen Commercial Vehicles, Scania and MAN. Building and selling cars successfully secures jobs and strenghtens economic power. Customers are happy, employees and the supplier industry, too. But do those profit as well who do not have anything to do with a company like Volkswagen? To Volkswagen, environmental care does not just mean building ever more efficient cars in ever more sustainable plants. The company is globally committed to the conservation of resources and the protection of biodiversity.